If you’re a New Yorker, you eat the same stuff – Chinese take out, sushi, hero sandwiches, and the occasional power lunch. So, where did it come from? How long have these New York traditions been going on? Did you know that take-out began in 1976? 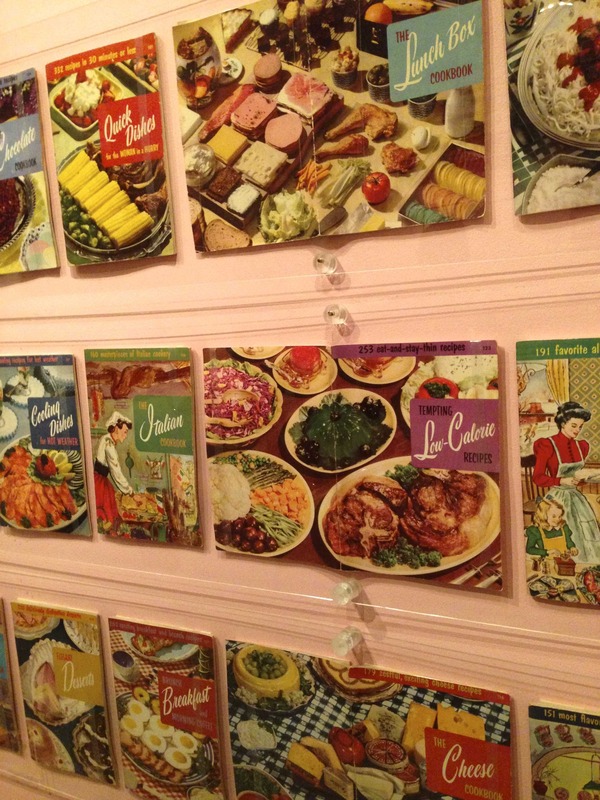 Get to see the New York Public Library’s walk-through of culinary history at Lunch Hour NYC. As soon as you enter, you see a reproduction of the oyster carts that fed millions of working New Yorkers in the early 1800s, when these small bites were so plentiful in our waters that entrepreneurs made fortunes shipping them to Paris and London. You’ll also see tribute paid to the ubiquitous Chinese take-out bike, learn that pretzels have been sold on street corners for 150 years, and meet the creator of the stainless steel hot dog cart, Ed Beller. Listen to his story yourself. 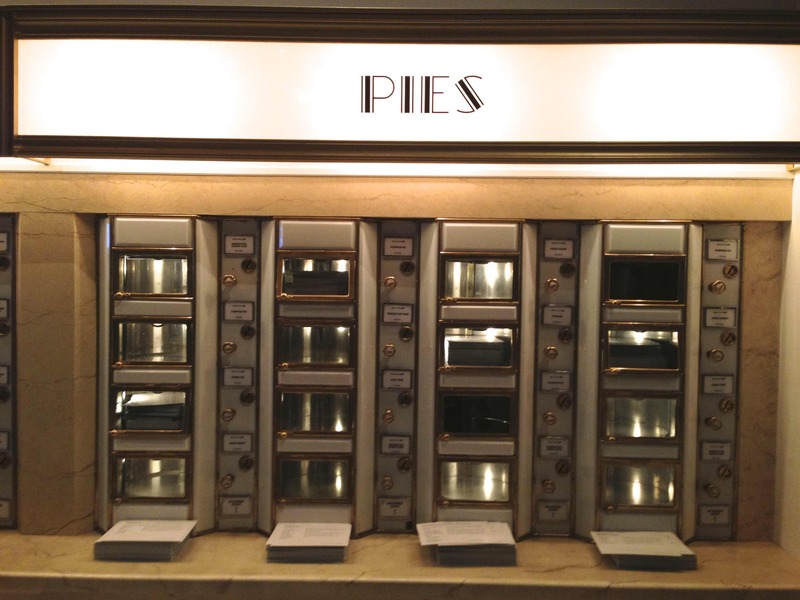 Of course, the genuine star of the show is the Automat wall. You not only get a glimpse of the original doors, but you can go around behind the scenes and see where workers put in the fresh creamed spinach, baked beans, beef with burgundy sauce, and pie. People tend to linger in this section of the show, watching videos of Marlo Thomas in That Girl, a career girl without a lot of cash eyeing the yummier selections chosen by more successful types – a theme that’s also echoed in the clips from other movies, too. Get a close-up look with these photos on Flickr. 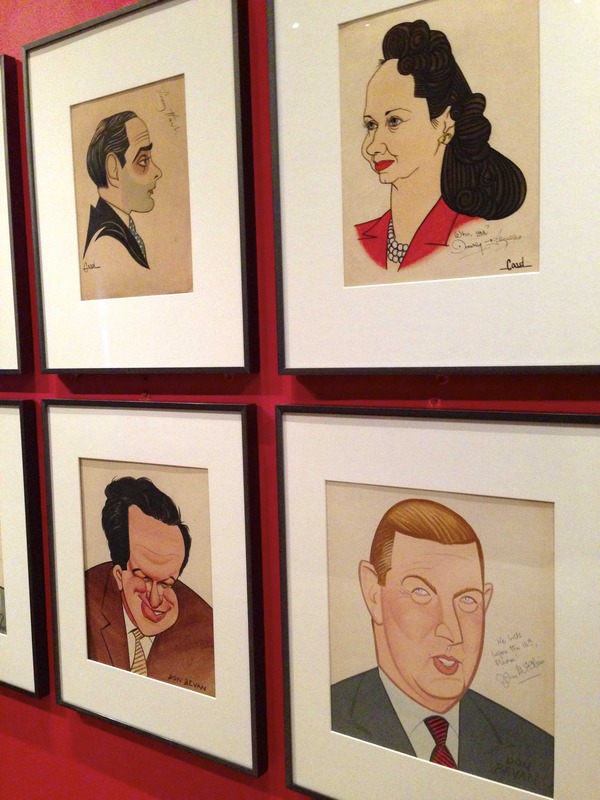 This entry was posted in History, Museums and tagged culture, food, history, marketing, museums, video by mssusanb. Bookmark the permalink.